In the United States, every citizen has a social security number for income purposes. It's a 9-digit number. This began in 1935, though I was surprised to learn from wikipedia that until 1986, most people only got their number around the age of 14. Today, everyone gets it at birth. Did the Soviets also give everyone a ID number? Was it a 9-digit number? 10-digit? A 7-character alphanumeric sequence? I searched for this on wikipedia's Passport System in the Soviet Union, because I know they used internal passports. I looked at both the English and Russian versions of the article, but could not find examples of ID numbers. The first entry appears to be a birth date because I see the number "1946". There is a printed number, "I-T3 No. 681711". However, a 6-digit number can have at most 10^6 = 1 million unique entries. The USSR around the time of the war had 170 million people, and around 1990, around 290 million people. So a 6-digit number is nowhere near enough to hold that many unique ID numbers. You would need a minimum of a 9-digit number. This makes me think the internal passports were not issued to everyone, only certain people of whom there could only be a million or less. But then, the "I-T3" could be part of it? Is there some ID document given to everyone, that gives you a unique ID number? I looked at birth certificates too but came up emtpy. The passport number included two parts, the series number and its proper number. This would allow for enough unique numbers. The passport number though would be changed if passport is re-issued or lost. 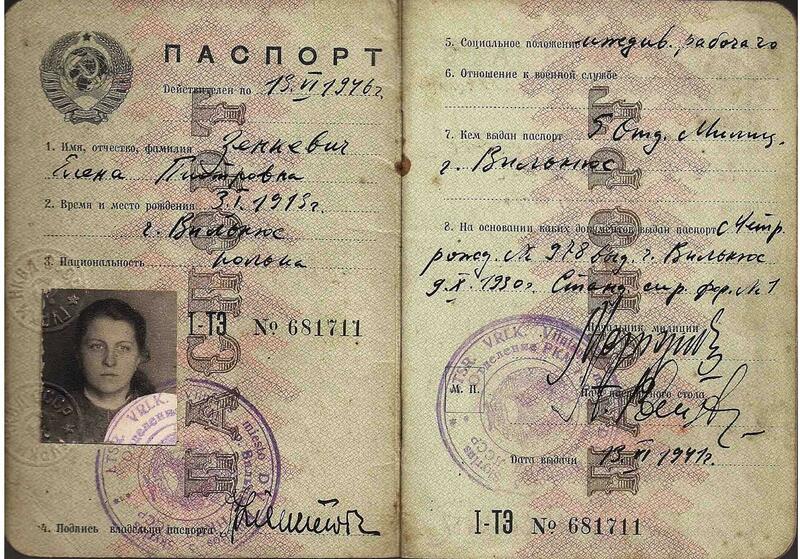 The unique identification of a person in the USSR was their name, date and place of birth. People also had their birth certificate, which was numbered, but again, the number would change if it is lost. There was no taxpayer number in the USSR, contrary to the answer by Danila Smirnov. "I-ТЭ № 681711" includes also the issue series ID - the "I-TЭ" part (which in this case consists of a roman numeral from I to XXXIII and the issue region code (two cyrillic letters), by the way, so it is not "I-T3"). This way, while a single series can't have more than 1 million passports, you can have multiple series, which gives us 33 million passports per region (in 1939 USSR consisted of 138 regions). This ID number is unique only to the document, not to its holder! When the passport is reissued, one is required to register the new ID with all relevant institutions. Not the answer you're looking for? Browse other questions tagged soviet-union government or ask your own question. Why did the Soviets refuse to help Nur Mohammed Taraki? What kind of heating did Moscow have in the early Soviet Union (1917 - 1930)?